Party Pad, Sleeps 12: Informez-vous sur notre offre spéciale été, économisez 50% sur votre troisième nuit. Rien dans la Nouvelle-Orléans se compare à notre spacieuse de quatre chambres quartier français Parti Pad! 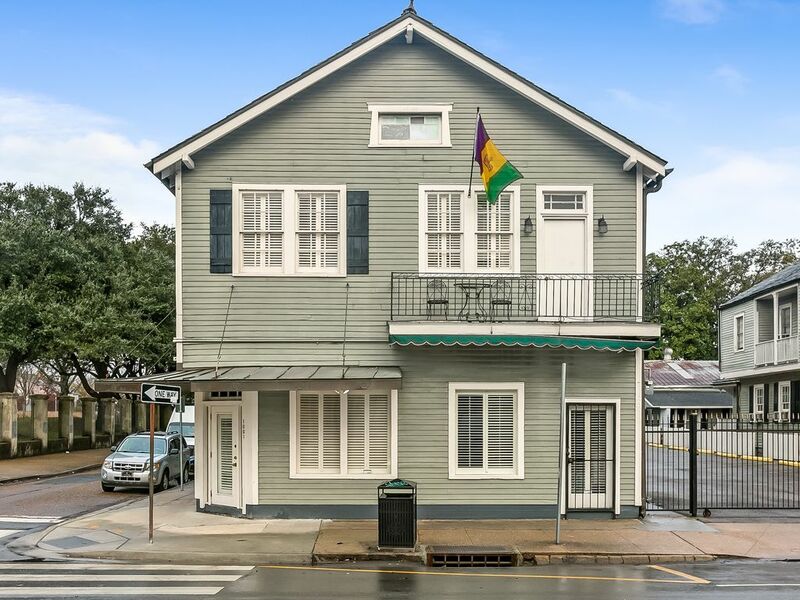 Situé à seulement trois pâtés de maisons de Bourbon Street et à côté légendaire Armstrong Park Cette maison dispose de quatre chambres, trois et une salle de bains et demi, un espace ouvert incroyable avec salon meublé et salle à manger, un bar parfait pour se rassembler avec des amis et la famille, un plein cuisine de style commercial. Ce tapis est parfait pour tous les types de célébrations, des célibataires aux réunions de famille! C'est l'une des quatre maisons en rangée de notre collection "French Quarter Townhouses". Télévision par câble, Wi-Fi, sèche-cheveux et divers services de conciergerie inclus pour vous aider à améliorer votre expérience. Voyager avec plus de gens? Lorsqu'elles sont combinées, notre collection French Quarter Townhouses peut accueillir jusqu'à 95 personnes! Associez les suites Townhouse pour trouver la solution idéale pour votre groupe. Exactly as advertised. Clean and close to everything. Would definitely recommend! I came to New Orleans with a group of 10 guys for my bachelor party. Having never been to New Orleans before I spent alot of time looking for a place that was in a good location. This place fit that bill. It was a quick walk to bourbon street and the French Quarter. Anything further was merely a 5-10 minute Uber. Walking home late at night did not feel sketchy with many food places/bars open on the route back. The house is also walking distance to two grocery stores which made stocking up on supplies easy. Overall, the property was clean and had everything we needed. The living room area came with a TV and speakers and was a great place for us to hang out before heading out for thr night. Bathrooms were also very clean. Finally, Mike the property manager was very helpful and responsive. Mike was also very flexible with our check in and check out times and the house was ready earlier than anticipated. I would recommend this location for any large group who is looking for a reasonably priced and safe location near the French Quarter. Thank you Joseph.. Come back anytime!! We had 12 guests over the weekend and all had an incredible time! The house was in great shape and exceeded all expectations. Mike was very prompt and prepared with everything that we needed. Everything was clean and well maintained. Will definitely be back! The property was great and in good condition. The property was perfect for 12 guys on a bachelor party! It was clean and had everything we needed. Robin and Patrick did an amazing job of making sure we had everything we needed for a comfortable stay. It’s an easy walk to bourbon street and the house is exactly what we needed to accommodate our bachelor party! Thank you Adam. We were happy to have you with us. Rental had everything we needed. Very close to the French Quarter and within walking distance to everything. Property manager was very responsive. No complaints. We operate as a licensed hotel. Therefore there is daily housekeeping, two swimming pools and a full time concierge.